Item # 312738 Stash Points: 6,995 (?) This is the number of points you get in The Zumiez Stash for purchasing this item. Stash points are redeemable for exclusive rewards only available to Zumiez Stash members. To redeem your points check out the rewards catalog on thestash.zumiez.com. 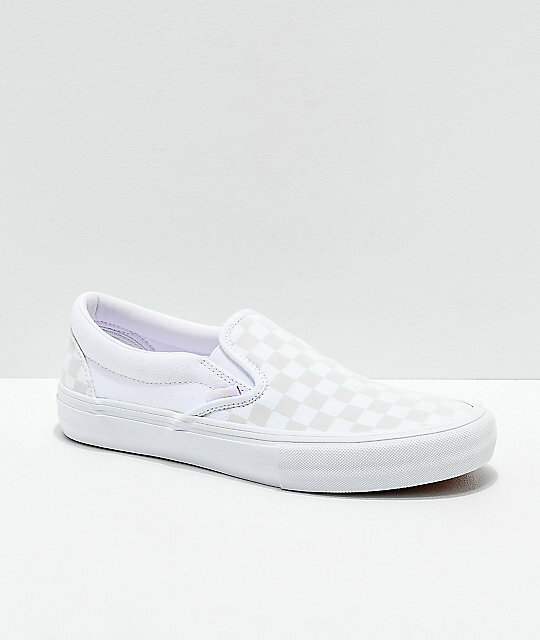 Skate in comfort with the eye-catching Slip-On Pro Reflect White Skate Shoes from Vans. 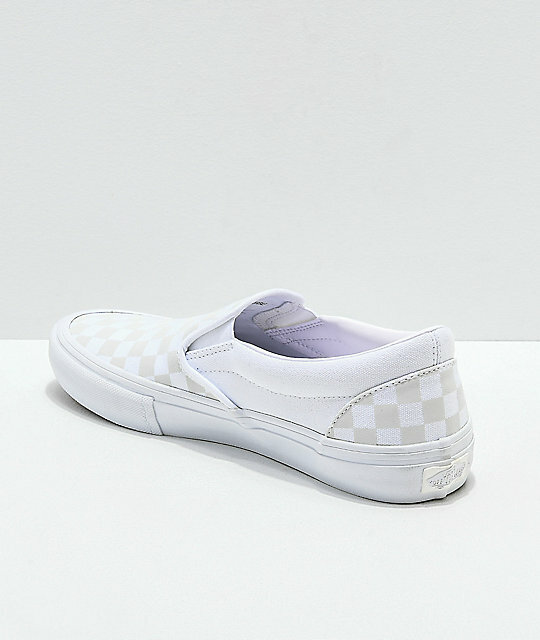 This classic skate shoe from Vans features a crisp white colorway with a reflective checkerboard pattern throughout, for a bold look. Made with an UltraCush insole for impact support, vulcanized construction for board feel, and Duracap reinforced rubber underlays to keep these shoes comfortable and ready to withstand wear-and-tear from skateboarding. 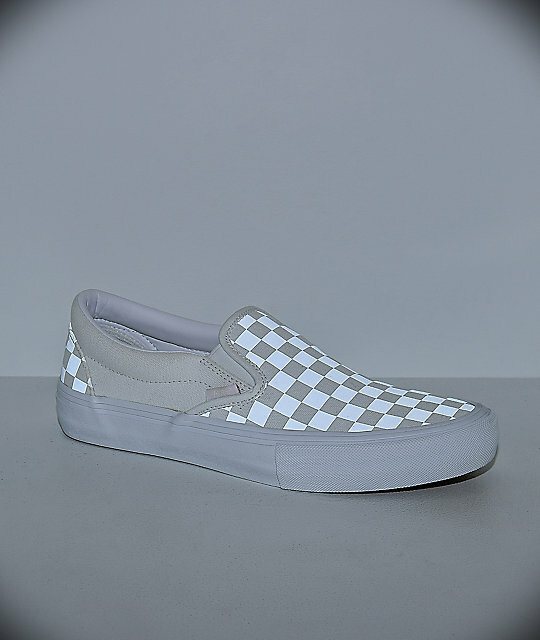 Slip-On Pro Reflect White Skate Shoes from Vans. 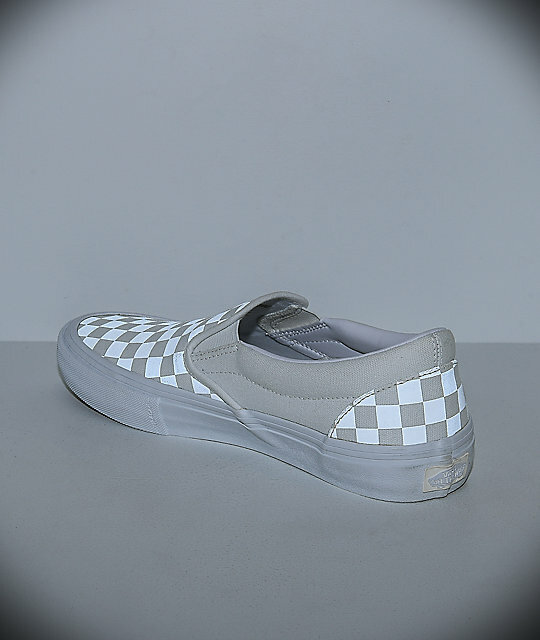 White reflective checkerboard canvas upper. Lightly padded tongue and soft textile lined collar.